Some trailers take two seconds of material and stretch it into a minute and a half. 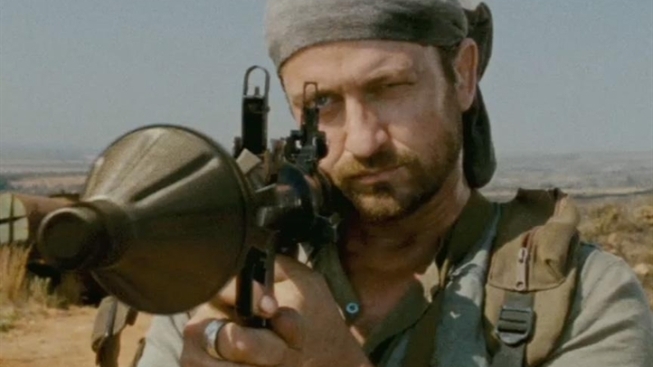 Others, like this one from the new Gerard Butler movie "Machine Gun Preacher," are all about cramming, cramming, cramming. Let's see, you've got crime, religious redemption, family melodrama, civil war, famine, starvation, violence, vengeance, guilt, and....whoa. And this is the trailer, mind. Director Marc Forster - who did "Quantum of Solace," an unfairly maligned movie in our opinion - certainly has an eye for epic scope, and Butler seems serious about getting back to some acting again following whatever the hell "The Bounty Hunter" was. Plus, it has Michelle Monaghan who, in our opinion, isn't on screens nearly enough. "Machine Gun Preacher" opens everywhere November 18th.